Importing for the first time is no walk in the park. 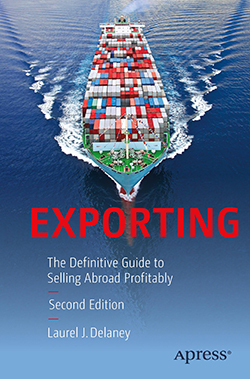 We know that for a fact because I cover potential problems in “Eight Tips for New Importers.” But the biggest mistake importers make is this: How to sell the product you import at a profit? Here I provide solutions to that nagging question. Let me paint the scenario: You find a terrific supplier located in a part of the world where goods flow in and out easily. You draw up a contract that is mutually beneficial. You know the perfect time of year to import in order not to run up against any port congestion. You hire a good transport expert, monitor all shipping costs and even hone in on unanticipated costs such as peak season surcharges, terminal handling charges and bunker adjustment factors. You consult with your bank relationship manager to figure out the absolute best way to stretch out the payment to the supplier so you don’t get in over your head financially. Hurrah! You’ve done everything correctly on handling the importation of the product except for one major thing: When the product arrives at your warehouse (ahem, you did make sure you have a warehouse lined up, right? ), how will you sell it? The last thing you need is a warehouse full of products that can’t be sold. To avoid that happening, here’s what I suggest. 1. Line up customers in advance. 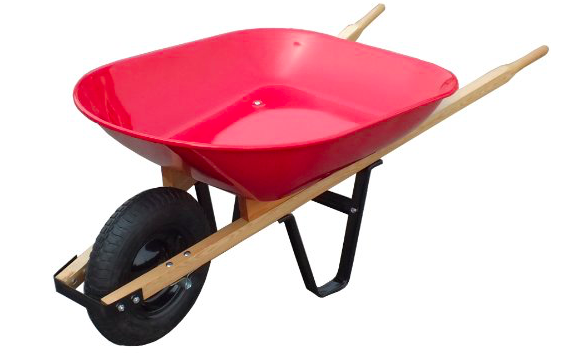 Let’s say you are importing wheel barrels that will be sold to Home Depot, Lowe’s and Wal-Mart. What you don’t want to do is wait until you have 5,000 wheel barrels in your warehouse before you start making calls to buyers at DIYs or home improvement stores. Call on buyers well in advance of placing an order with a supplier and get their expressed interest, preferably in writing. Think of it as a buyer’s commitment (BC). If you collect enough of these BCs, you will feel far more confident when you place the order with your supplier. Caution: Just because you get a buyer’s commitment it doesn’t necessarily mean the customer will buy once you have imported the product. It’s a chance you take. 2. Pre-sell goods. Pre-selling goods is different from getting a BC in writing. Pre-selling is an actual purchase order outlining the details of the sale with an obligation from the buyer to pay. If you can pre-sell orders that are large in size, say 1,000 wheel barrels for each store, you might consider making an arrangement with the customer to have the goods shipped direct to his door, called directed store-door delivery (SDD). The only drawback is the customer learns who the supplier is and you don’t have a chance to spot-check quality. The advantage is no inventory carrying costs and you save money on transportation because you are bypassing your warehouse for direct delivery to your customer. 3. Feature the products on your e-commerce site. Some e-commerce platforms have the option that allows your customers to preorder. Inquire. I don’t always recommend this but as long as you tell the customers the truth, that the product won’t be available for 30 to 45 days, for example, you can feature the product and hope that you receive lots of orders during a relatively short period of time. That way, orders queue up and you can see how much you can afford to order from your supplier based on the preorders from customers. To achieve a certain price point, most suppliers have a minimum order amount so that is the target you want to hit. Whether you line up customers in advance, pre-sell merchandise, or feature products on your e-commerce site, trust is a critical factor in the grand scheme of the import process. If a supplier or customer doesn’t trust you, nothing gets done, or if it gets done at all, it will be a mighty slow process. Factor that in as you move forward and the profits will flow in. Have you ever been in a position where you imported goods and couldn’t sell them once they arrived? If so, what did you do? Send me an email (ldelaney@globetrade.com). We’ll feature your story here.